Tax raid on buy-to-let properties | News | Baxter & Co.
Our last blog looked at the implications of the new dividend tax whose principal target is owner managed businesses. The other group targeted in the summer budget is residential landlords. Two major changes have been announced. First, the Chancellor announced the removal of the wear and tear allowance, available where fully furnished properties are let, from April 2016. The wear and tear allowance is calculated as 10% of the rents less water rates and council tax, where these are paid by the landlord. From April 2016, landlords will only be able to claim for the cost of replacing furnishings or fittings, Note, the initial cost of purchasing such items is not deductible, only the cost of repairs or replacement. In many cases the 10% allowance was worth much more than the annual cost of replacing items of furnishing, so its removal will lead to higher tax bills for many residential landlords. Higher rate and additional rate taxpayers will only receive relief at 20%, rather than at 40% or 45%, respectively. Taxable incomes for all landlords will be increased, as the interest will not be deducted from the rent. 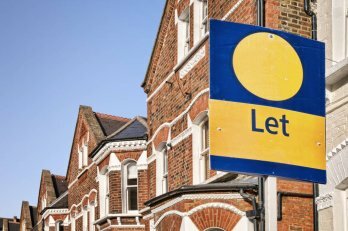 This may well push some landlords who were previously in the basic rate into the higher rate band, push some landlords into the £22,200 band above £100,000 where the effective tax rate is 60%, increase the clawback of child benefit or reduce the amount of any rental losses. The interest restriction is being phased in. From 6 April 2017 the amount of interest deductible for tax purposes will be restricted to 75% of the amount paid. This restriction will increase to 50% in 2018/19, and 75% in 2019/20, and from 6 April 2020 none of the interest will be allowed as a deduction. The combined effect of these changes could be dramatic. The example below compares the position of a landlord receiving rents of £20,000 per annum on a fully furnished property, paying £10,000 of interest and incurring £1,000 annually on replacement furnishings with other income of £90,000. It illustrates how a profitable rental business could easily become loss making as a result of these changes. As interest rates are likely to rise over the next few years, the effect of the interest rate restriction will be exacerbated. Of more concern is that we have seen a similar restriction before, when interest relief was available for the purchase of your home. This relief was gradually eroded, starting from 1988, until it was withdrawn completely by 2000.